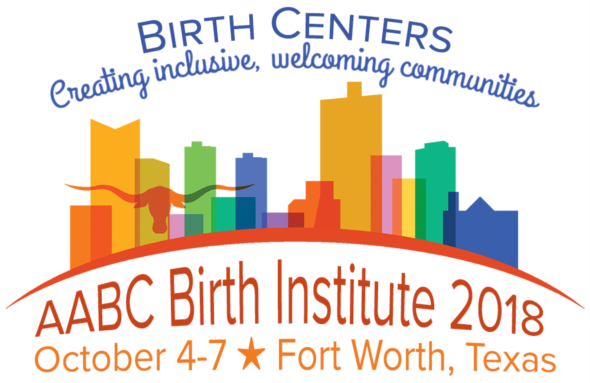 Join us at the 12th Annual AABC Birth Institute in Fort Worth, Texas October 4-7, 2018. The conference is brimming with inspiring speakers, networking opportunities, clinical sessions to keep your practice current, administrative sessions focused on timely business issues, birth center tours, and more. Named in honor of Lisa Ross, an early pioneer in the development of birth centers, this scholarship includes the registration fee for the Birth Insititute, a ticket to the AABC Foundation Gala "Boots & Bling" and a $500 travel stipend. AABC has prioritized increasing diversity at the AABC Birth Institute. We recognize the importance of diversity in birth center providers and the need for birth centers that provide culturally sensitive care to women and communities at risk. Our goal is for AABC conferences and the member community to include, encourage, and recognize people of all races, ethnicities, genders, ages, abilities, religions, and sexual orientation. Scholarships include the registration fee for the Birth Institute, Birth Center tour and dinner, Birth Center Directors Network Meeting (if applicable), a ticket to the AABC Foundation Gala "Boots & Bling" and a $500 travel stipend. Birth center provider, owner, staff or student who identifies as a person of color, native, indigeneous, and/or LGBTQ. Would you like to support scholarships for AABC Birth Institute? These scholarships are available because of the generosity of donors like you. Every dollar you donate to a scholarship fund goes directly to scholarship recipients.